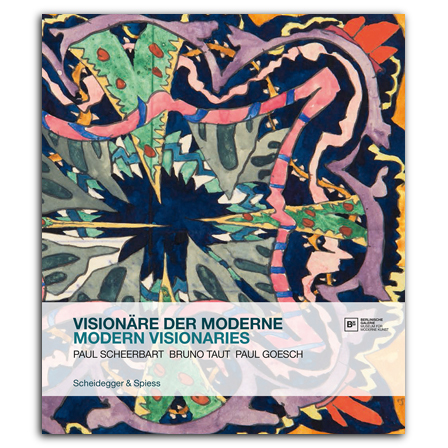 This book brings together three exceptional German visionaries of early modernism: the novelist, poet, and inventor Paul Scheerbart, architect Bruno Taut, and architect and artist Paul Goesch. All three men were wildly creative, offering unprecedented meldings of art and architecture into fantasias of invention that spoke directly to the concerns of the early Weimar Republic—while anticipating many of the architectural and artistic innovations of the decades that followed. Modern Visionaries, published to coincide with an exhibition at Berlin's Berlinische Galerie in spring 2016, presents some eighty previously unpublished watercolors by Goesch alongside texts and drawings by Scheerbart and Taut, as well as works by other members of the Crystal Chain, the forum for utopian architecture founded by Taut in 1919. Essays by experts on the work of all three men complement the artworks, putting them in historical and artistic context. Announced Outstanding Academic Title 2017 by CHOICE. is head of architectural archives at the Akademie der Künste Berlin. works as a research assistant at Sammlung Prinzhorn in Heidelberg, Germany. is head of Berlinische Galerie's collection of prints and drawings. is a scholar of German literature with a special interest in Paul Scheerbart's work.